20-year-old Athar is studying English Literature at university, loves WhatsApp, chocolate ice cream and going for dinner with her family. So far, so familiar. But because Athar lives in Gaza, this intelligent young woman has survived unimaginable hardship and trauma. Her home was bombed during the 2014 war – she and her sister were injured, and her father was killed. Athar is keen to share her story, so more people know what is happening in Gaza. Read extracts from my WhatsApp chat with her to gain unique insight into what it’s like growing up as a girl in Gaza, and be inspired by her amazing approach to life. What's life like for girls growing up in conflict? Three wars have been fought in Gaza since 2008, leaving thousands dead and many more battling with the emotional trauma of witnessing violence and destruction. 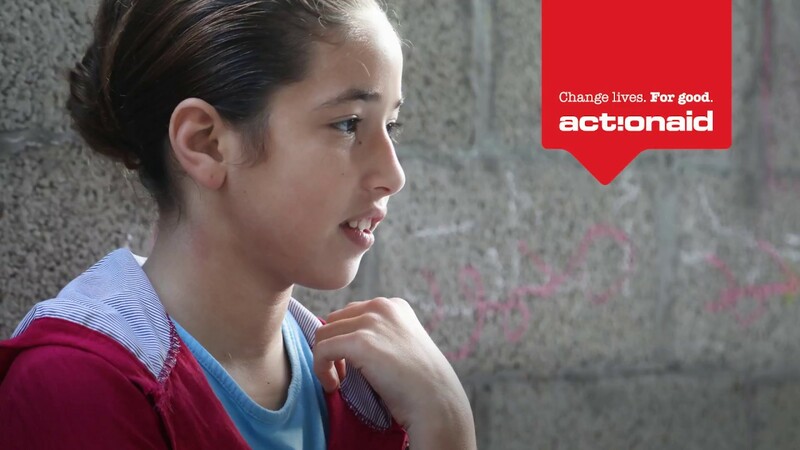 Recently, I met fourteen-year-old Asma'a and her sister Assenat, who live in the Gaza strip. Along with their mother Rewa'a, and grandmother Sabah, they told me about life for girls growing up in conflict.